Hi friends! It's Ashley here to share a card that's also a gift card holder using a very simple technique. I added a few things from my stash to create this but most of the things are from the Walk on the Bright Side Kit. Here's how it looks when the gift card is tucked inside. And here's the gift card peeking out so you can see it. The technique is very simple! You just take an envelope and seal it shut. Then you trim off one side and adhere it to your card front. Finally, decorate as desired. I used an airmail envelope because it matched well with the Lawn Fawn stamps and the Airmail Divine Twine that come with the kit. You can use any kind of envelope you like. 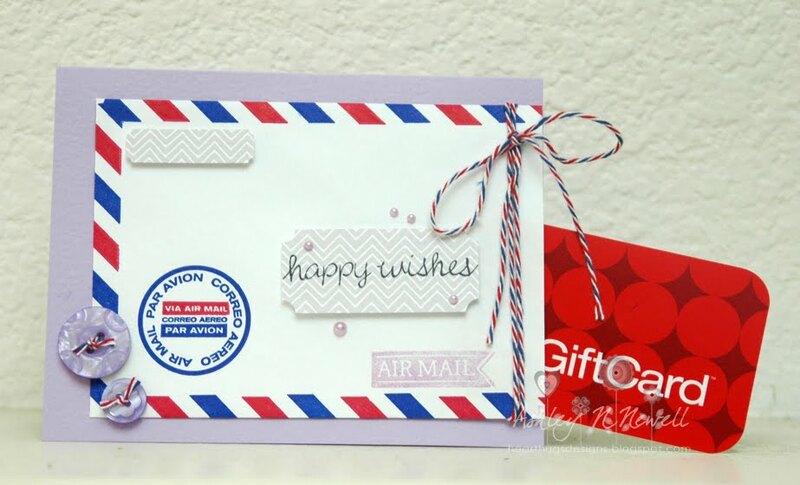 Vellum would be a nice option so that the recipient would be SURE to see the gift card you included. 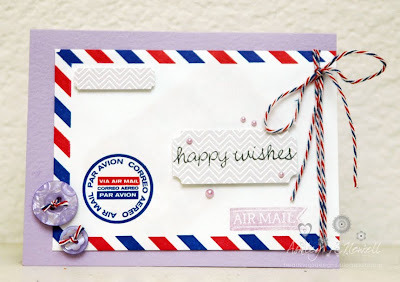 I added a sentiment from a different Lawn Fawn stamp set I have in my stash. How fun!! Loving this Ashley! How stinking cute is this!? Fabulous! The technique is very simple! I had never thought of..I think it can be used as a Gift Card envelopes.